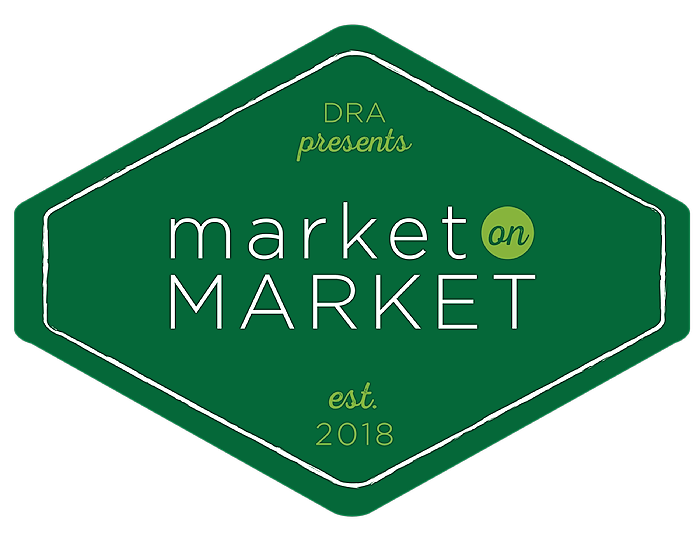 Market on Market, a program produced by the Downtown Raleigh Alliance, brings the highest quality local growers and food artisans together for a Raleigh audience. Vendors include North Carolina farmers, ranchers, fisherman, nurserymen, bakers, cheese makers, and specialty foods producers. Delicious lunch options from local Downtown Raleigh restaurants, as well as some sweet treats to put a smile on your face, are also offered weekly. Tag your photos with #RaleighEatLocal! Wondering about the weather? The DRA shares: “We try not to cancel ever, unless the winds and storms pose a serious threat or safety issue. If it’s just rain, we’re open!” So there you have it, ignore the chance of rain on pop on by for your weekly Market on Market fix! NOTE: The market will be closed on July 4, 2018.